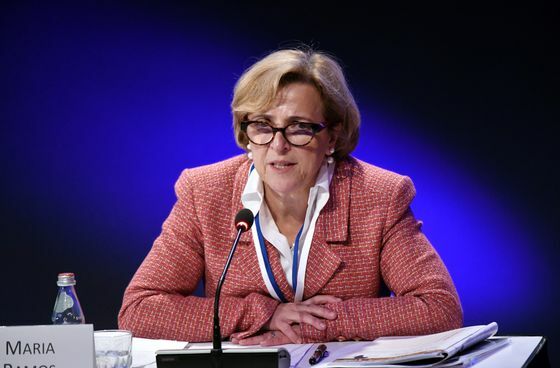 (Bloomberg) -- Absa Group Ltd. Chief Executive Officer Maria Ramos will step down after overseeing the split from Barclays Plc, an alliance blamed for the loss of retail market share at South Africa’s third-largest bank. The stock rallied the most among its Johannesburg-based peers on Tuesday in the wake of her pending exit. Absa, once the nation’s largest mortgage lender, fell behind after Britain’s Barclays acquired control in 2005. Now that the U.K. bank has sold down its stake, Absa is planning to grow faster than rivals to close the gap. 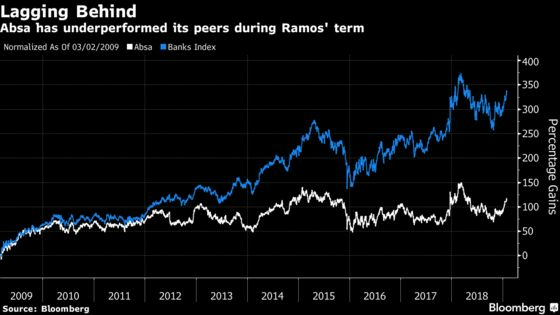 Ramos’ retirement and the lender’s succession planning was put on hold when Barclays announced plans to cut its holdings in 2016, to retain focus on the separation, Chairwoman Wendy Lucas-Bull said by phone. Ramos’ successor should be announced by the time Absa publishes its first-half earnings in about six months from now, Lucas-Bull said, with the person expected to take office in the new financial year. The CEO -- who helped draw up South Africa’s constitution and served as a director-general at the Ministry of Finance under the late President Nelson Mandela -- led Absa through a number of milestones, the lender said. That included guiding the bank through the financial crisis and acquisition of eight of Barclays African units for 18.3 billion rand ($1.3 billion) in 2013, the largest African purchase yet by a South African bank. Ramos in March brought in new management and restructured the retail and business banking unit -- which accounts for more than half of earnings and deposits and 60 percent of loans. Since Barclays sold its controlling stake down to below 16 percent, Absa has also rebooted its image and revamped its other management teams. It’s appointed a new corporate and investment banking head, and expressed the willingness to take on more risk. The groundwork laid in the past year by Ramos removed uncertainty around Absa’s future and made the CEO post more attractive to potential successors, Lucas-Bull said. Van Wyk, a non-executive director of Absa, was previously the Registrar of Banks and has 19 years experience with another of the country’s big four banks. The shares climbed as much as 3.9 percent to 182.39 rand, the highest since May 2018, before paring gains to trade 2.5 percent up at 180.02 rand as of 1:50 p.m. in Johannesburg. The stock has jumped 11 percent this year, outperforming the six-member FTSE/JSE Africa Banks Index.